We all know that furniture designs keep on changing just like a fashion trend. As new materials, design trends and manufacturing techniques come to the fore, changes can be seen in furniture styles too. 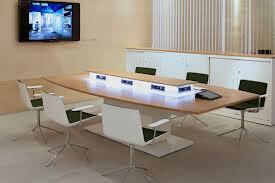 The latest trend that furniture industries seem to be focusing more on is technology integrated furniture. Not long ago people used to furnish their homes with simple wooden furniture. However as technology took a leap and inventions became frequent, even the furniture industry could not be left behind. As a consequence, we now have some of the best furniture with highly sophisticated technology combined in it. There is no denying that technology has contributed a lot in the development of furniture designs. There is a huge difference between the kind of furniture that we had a few years ago and what we have now. It is a fact that man has evolved with so much of technological progression in every sphere that life without technology cannot be imagined. In fact, we all wish to live a comfortable life now where day-to-day things can be done by just pressing a button or with just a click. All thanks to technology that the same has now been introduced in furniture too. Furniture with built-in technology definitely has an upper hand over the traditional furniture. While there is no harm in furnishing your home with traditional furniture, there is nothing to be gained too. On the contrary, if you make use of modern furniture you can be benefitted in many ways. Not only in terms of functionality and purpose but in designs too, there is nothing like keeping modern furniture at your home or workplace. Technology integrated furniture have styles of their own. They represent the needs of today’s era in terms of their looks as well as their functionalities. Gone are the times when furniture served only one purpose. The more technologically advanced furniture pieces also allow you to make use of wireless charging. Such chargers are generally built into desks, wall and even sofas and chairs. With the help of such furniture you won’t have to worry about your gadgets running out of battery. Now you can even buy recliners with plugs, desks or tables with data ports, modular conference tables for your office which can be arranged into desirable designs, desks with the facility of wire management, etc. Overall, the technologically advanced furniture intends to function as multi-purpose furniture. Having them in your home or workplace can provide you an ideal place where you will always love to stay. Hence, f you are in search of a stylish piece of technology integrated furniture then you will be glad to know that your nearest furniture store has them all under one roof. The furniture store is much preferred for the quality that it provides and the service it has been delivering to its customers. Shopping from them is easy and the good thing is that you can easily browse through all the furniture pieces with just a single click.